TimeTable++ Schedule – What's On Today? Regardless of what crazy system you may have come up with for yourself, if you're a student, nothing beats a good old-fashioned time table to help you keep on top of things. 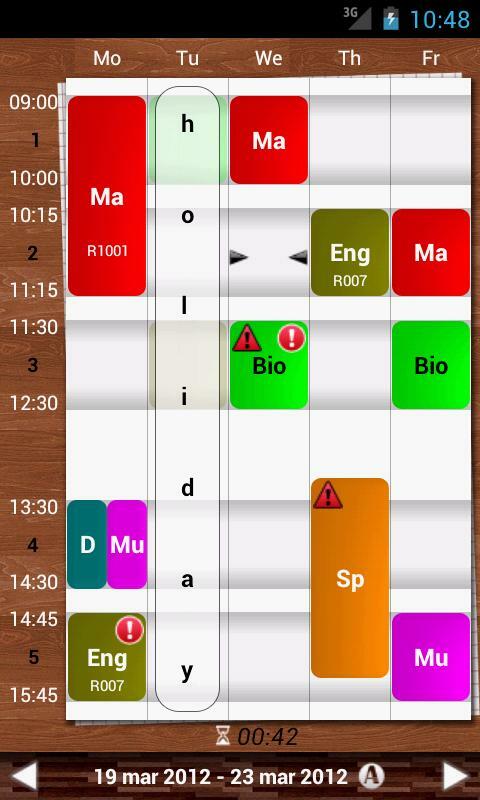 TimeTable++ Schedule is a calendar app for students to help them organise their homework, to-dos, curriculum, etc. Find out more in today's review. Today's review was written by one of our community members, a high school student. 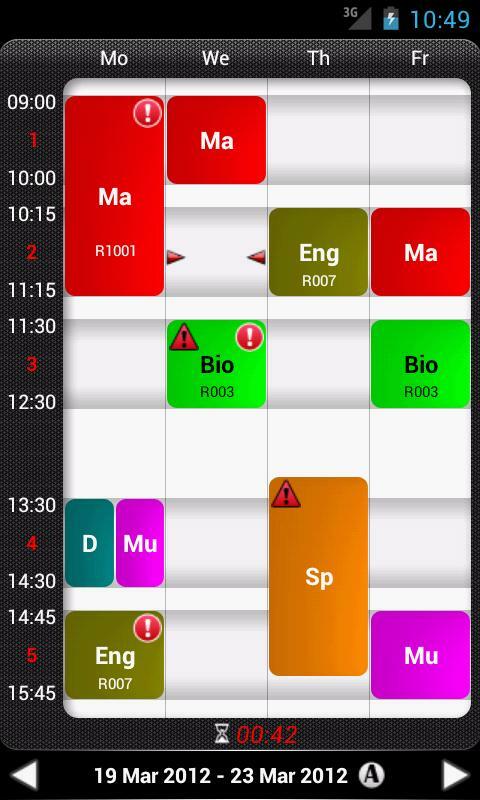 TimeTable++ Schedule main function is displaying your class schedule, including when you have exams, notes and memos and information regarding homework. Open the app and you will see a weekly overview; there's a slot for each day, and each day is divided into time slots. Swipe across the screen to switch weeks. Up to four time tables can be set up. Theoretically, it's also meant to be possible to set up a time table via a back up which can be created internally. However, it's only actually possible to save the entire app, and not individual time tables. Long press in order to create a new entry in the week planner. Details (teacher, subject, interval of lesson, colour in which it's displayed, etc.) can also be added. There's a bit of a hiccup when it comes to setting the time for an entry (each class or event is pre-set to last for one hour, which in my case isn't the case), but this can be remedied by going to the settings and changing the hourly interval. There's no information regarding this step, which is a shame, as not all users will bother trying to figure out how to change this setting. If you have the same class more than once a week, the entries can be copied and – optionally – modified. I like the TimeTable++ Schedule design, and especially that there are 5 design variations to choose from. Once you've figured out the controls, I think you will find them easy and clever. That said, I would welcome a few tips on how to use the apps along the way, for first time users in particular. TimeTable++ Schedule performed very well throughout our test runs and there are hardly any loading times to speak of. TimeTable++ Schedule can be downloaded for free from Google Play. A discreet ad banner is displayed in the weekly view; unfortunately, there's no pay-for version to get rid of the ads.